Not oozing the same rockstar swagger but still heavily competent. Although frontman Matt Thomson remarked in a pre-show interview that the further north you go the better conditions are for guitar bands, for some reason he can’t stay away from Southampton, and after witnessing their sold out show at the Engine Rooms I think the participants of that gig would be glad to hear that. 2017 has seen them release their debut album, increase their time on the airwaves and embark on a slew of performances across the festival circuit, and in that time they seem to have honed their live performances to make for an extremely confident gig. 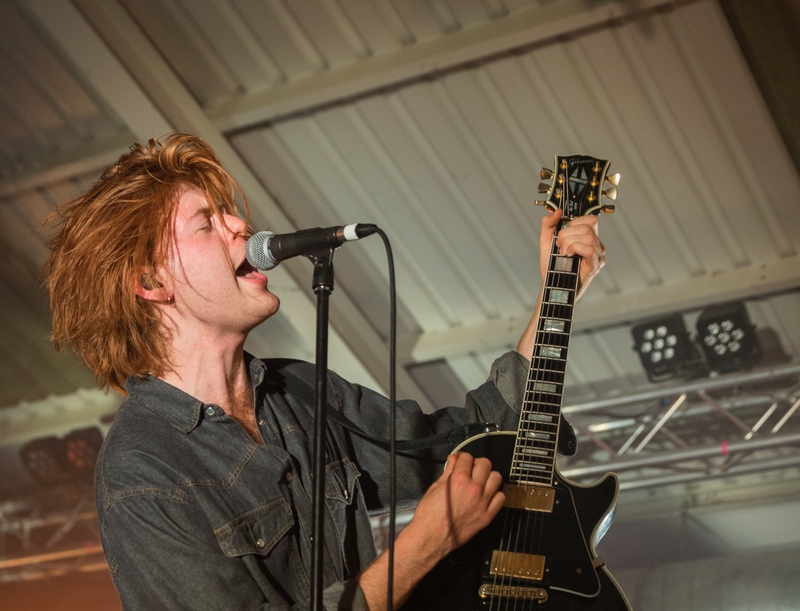 The Amazons, we were told from Thomson, have played “Lennons, Joiners, Guildhall, everywhere in Southampton”, and seem to have honed their live performances and setlist to make for the ideal gig for anyone from a superfan to someone who’s only recently come across their output. Coming on stage to pulsating, orange lights and a number of “Here’s Johnny”-esque shouts of “Southampton!”, they kicked things off with current single (and, earlier, a cut from the Don’t You Wanna EP) ‘Ultraviolet’ and ‘Burn My Eyes’, a song from their self-titled record which, though I haven’t heard it played much, was a well-responded to bop of a song and further justification of their experimentation with more singalong-driven songs. Though the gig featured slightly less obvious rockstar swagger than some previous sets, they were still able to appeal to the crowd with fan favourite ‘Nightdriving’ and one of their biggest hits from their debut album, ‘Black Magic‘ going straight into ‘Millions (The Party)’. Transitions from song to song were incredibly smooth, with the band playing through their set with little talking, discussion, or song introductions in between. Perhaps due to their hangovers, the set didn’t feel quite as charged as it had the potential to be. Despite the slick set and excellent lighting, it just felt a little slow-paced. That said, I enjoyed the inclusion of the slower ‘Palace’ in the encore, and especially Thomson playing it on the piano he played as a child. Their live show is definitely heavier than one might expect, particularly with songs like ‘In My Mind’ and ‘Little Something’, but it was the older songs from their repertoire that the crowd seemed most responsive to, like closing number ‘Junk Food Forever‘. Now, having packed out the second biggest indoor venue that Southampton has to offer, I worry that they’ll soon outgrow the city. Yet, if what Thomson said is anything to go by, there must be something in the water keeping them returning.